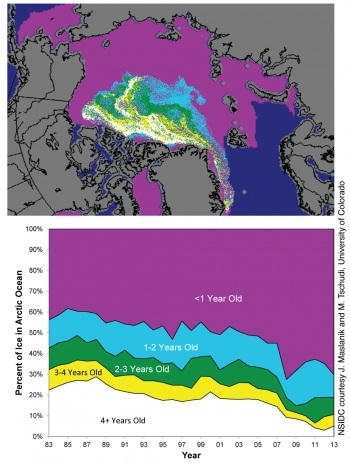 A new model study quantifies the relative importance of the processes controlling the summer melt of Arctic sea ice. 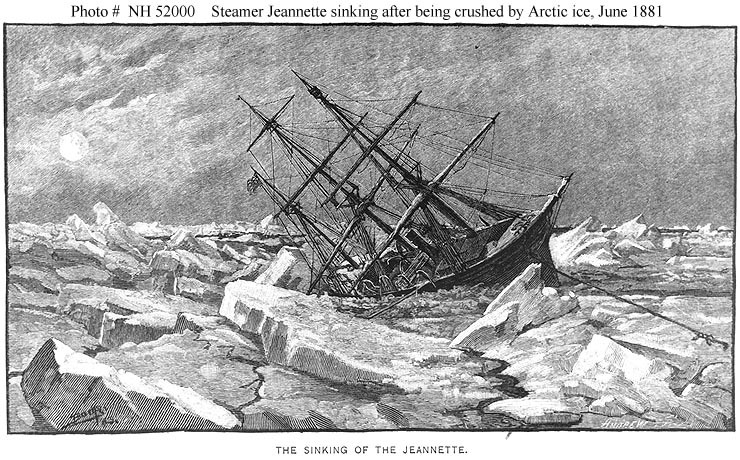 From the early polar explorers to offshore Arctic platforms or more recently the Manitoba homes on the shore of the Canadian Dauphin Lake, all have experience the devastating force of sea ice. 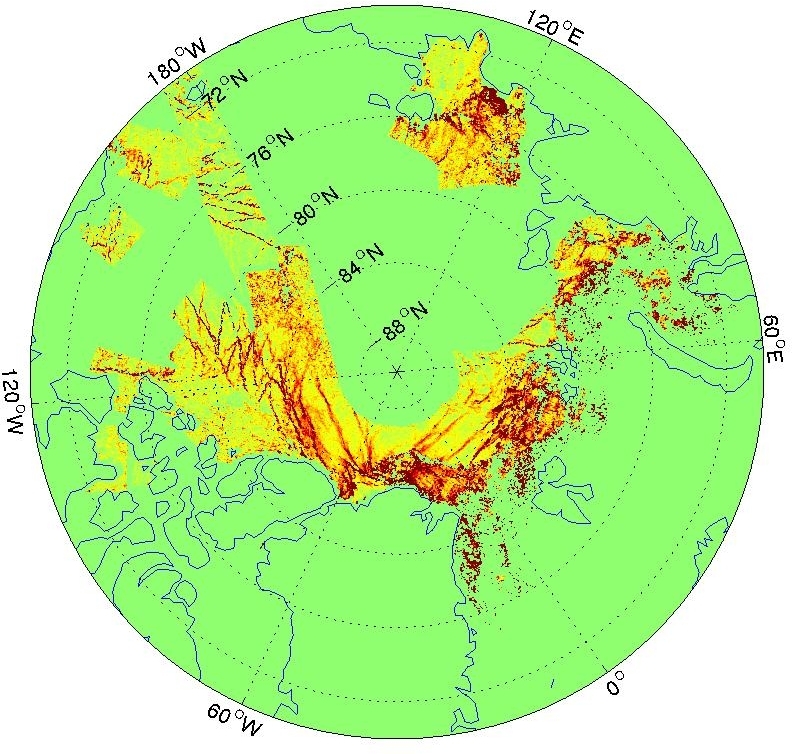 The inclusion of a new melt-pond model promises to improve the skill of future forecast and climate models in Arctic regions and beyond. 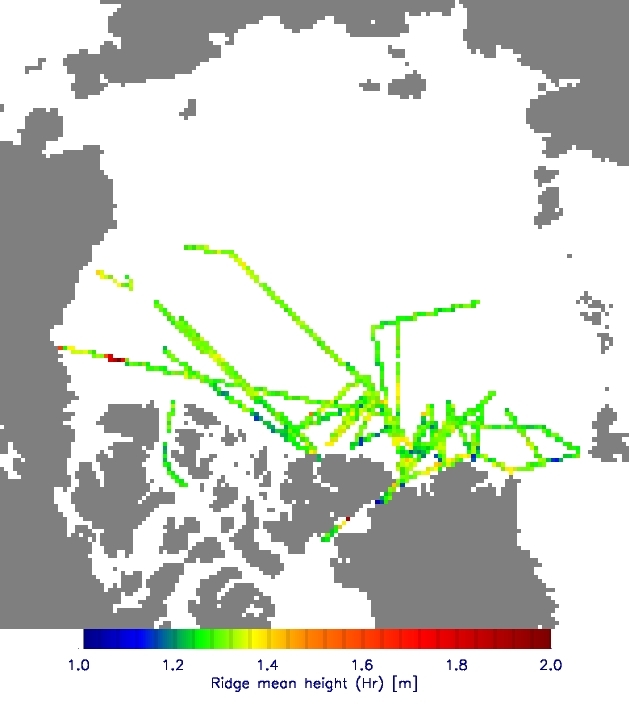 The GlobICE project provides measures of sea ice motion and deformation for use in climate modelling and research. 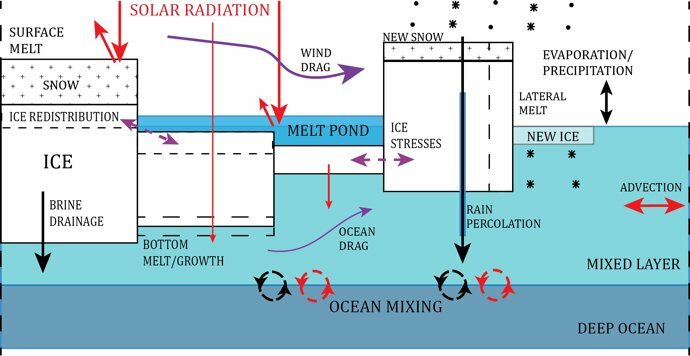 Over Arctic sea ice, pressure ridges, keels, floe edges and melt pond edges all introduce discrete obstructions to the flow of air or water past the ice, and are a source of form drag. 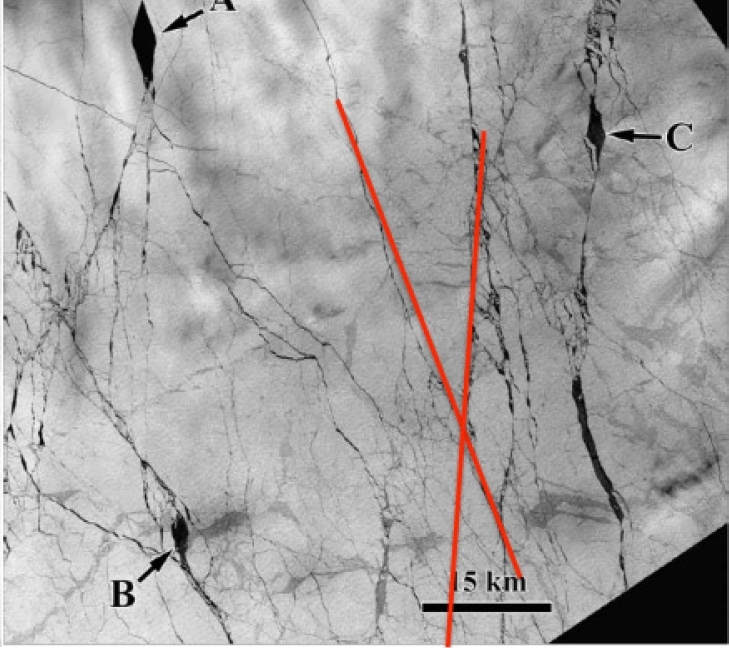 In the Arctic ocean leads delineate a mosaic of ice floes with a predominant diamond shape. 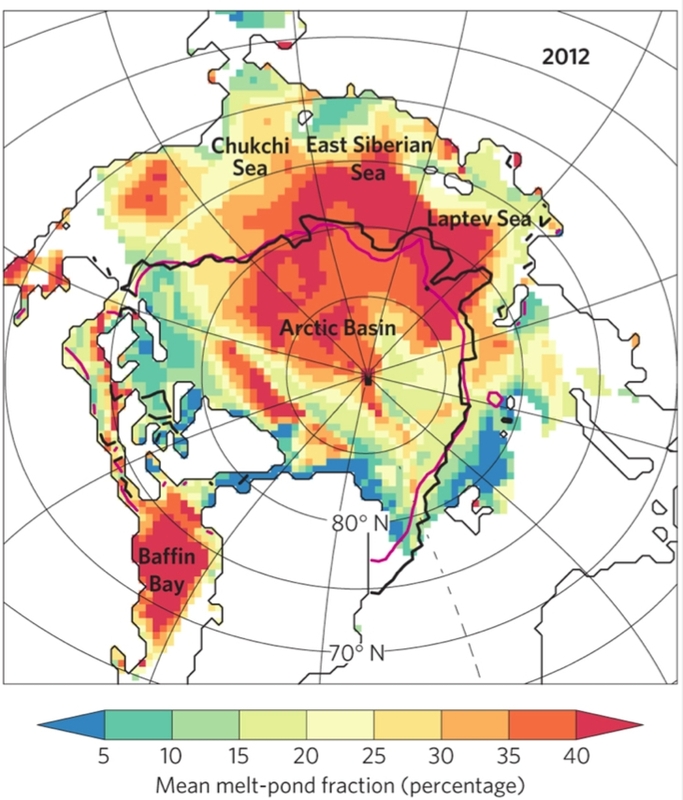 The Cryosat mission has produced since 2010 sea ice thickness maps in the Arctic up to latitudes of 88 N. Testing the climate model predictions against these observations allows to constrain the physics and the parameterizations of the sea ice component of the climate model further. 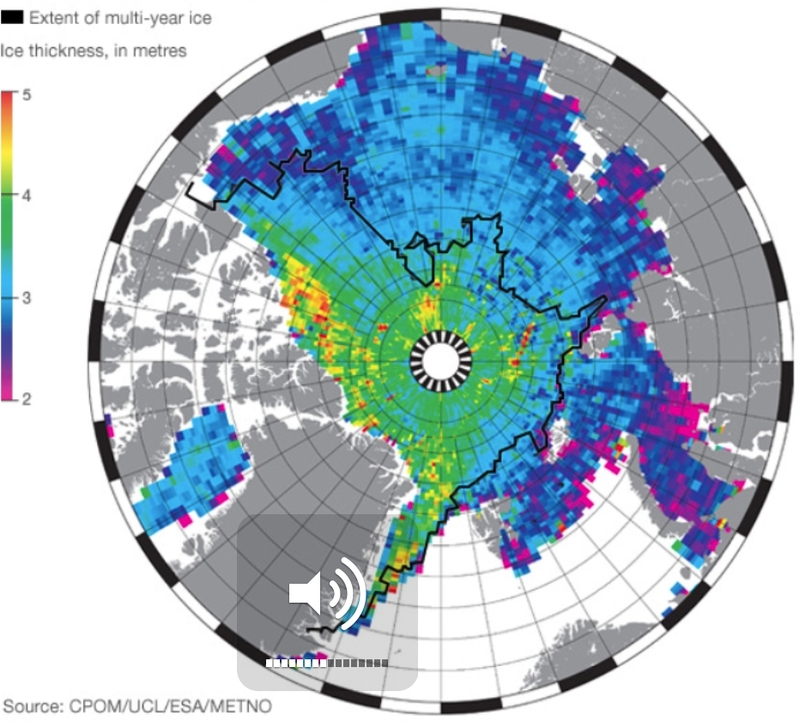 With the dramatic transformation of the Arctic sea ice landscape comes the necessity to reevaluate the physical processes involving sea ice and, in particular, the driving mechanisms that set the ice in motion and redistribute its mass into and out of the Arctic basin.